Exhaustive Skill in Providing Quick-turn Prototyping. Before a successful product is manufactured, a prototype must be designed to test its efficacy. At Eigen Engineering, we work on delivering the very best services. This starts with designing and producing a perfect prototype to transform your ideas into custom parts. Why do you need a prototype? Because making changes to a prototype is simpler than making changes to a product after mass production has begun. Eigen Engineering has exhaustive skill in the metal stamping of quick-turn prototypes and mass production. We have extensive experience in progressive metal stamping and forming technology. 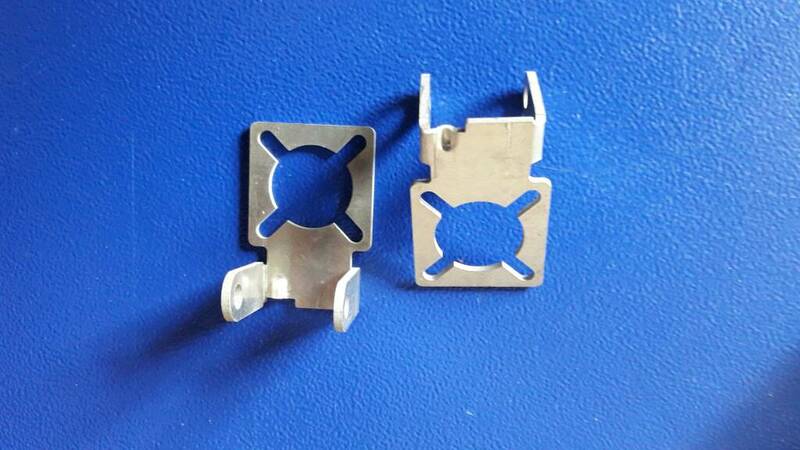 We also have the capability to manufacture designed stampings in a progressive die for high volume applications or single stage operations for initial prototype samples. In order to help you bring your product to the market quickly, Eigen Engineering provides rapid services in stamping and molded products to OEM’s. The Eigen Engineering prototyping process produces the best quality models for design verification and market research. The benefits of using Eigen for your prototyping needs include low costs, quick turnaround cycles and flexibility in making changes to designs. Design Assistance: Our engineers help in bringing a fresh perspective to your designs in order to easily revise and adjust the requirements of the product. Quick Delivery: At Eigen Engineering, we ensure quick and timely delivery that adheres to your timelines. Quality Control: We ensure quality testing at every step of production. When the production involves delicate parts with intricate designs, we perform close tolerance inspections as a matter of course. Quality checks run down to as low as five decimal places. Our Equipment: We use state-of-the-art Computer Numerical Control (CNC) technology to make prototypes, and machinery such as mills, lathes, grinders, presses injection molding tools and more to build our customers’ designs. CAD models are loaded onto our CNC computers, which in turn automate the prototyping processes. This leads to reduction of human error and promotes consistency. Aerospace: Progressive stamping prototypes of critical aerospace components that require high precision tooling and assembly. Medical: We provide solutions for medical device assembly, surgical quality blades and tools, electronic components and more, all manufactured to the highest quality standards. Commercial: A wide range of consumer goods, such as mobile assemblies, audio-video assemblies, consumer electronics and the like are designed and prototyped by us. Automotive: We help create prototypes of chassis components and power systems for the foremost leaders in the auto industry, as well as hardware components. As an ISO certified company, we welcome the opportunity to provide a one of a kind experience for your prototyping needs. We promise to meet and exceed your expectations every single time.